Over on wappellious.blogspot.com, James Wappel shows how to use a two-dimensional image for reference while painting a three-dimensional object. 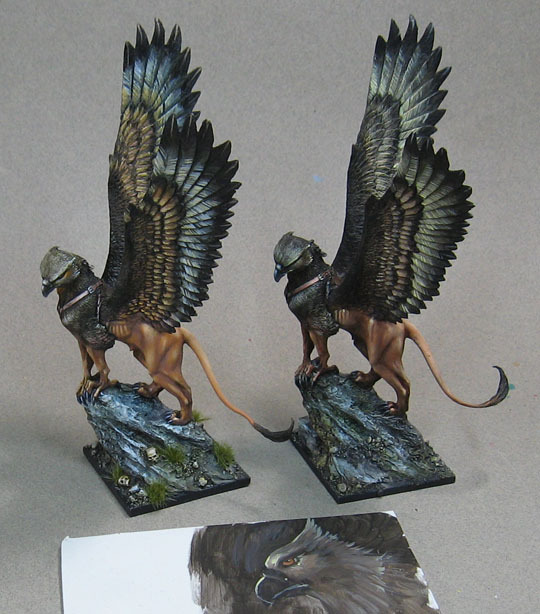 He does a great job with a tough subject, feathers, and shows some work with glazes. See more here!